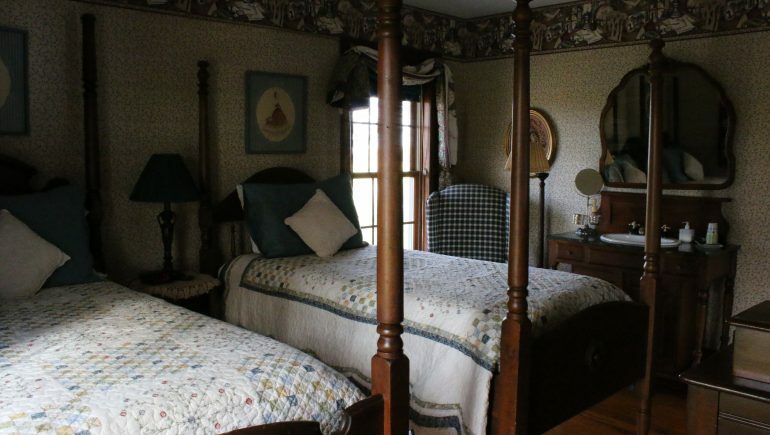 Grandma’s Quilts features antique four-poster twin beds and hand sewn quilts. A matching walnut wash stand, which has a sink with running water, was added for guests who are sharing a bathroom with Musical Notes. 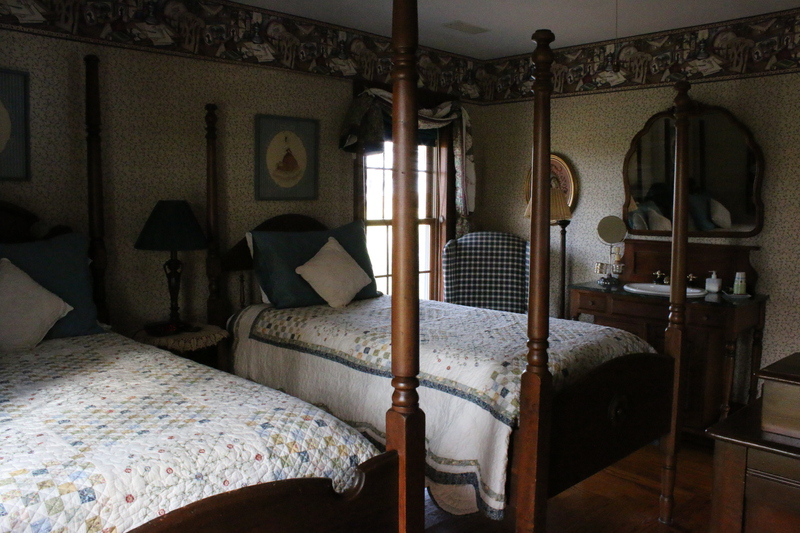 This room also features a TV and DVD player. 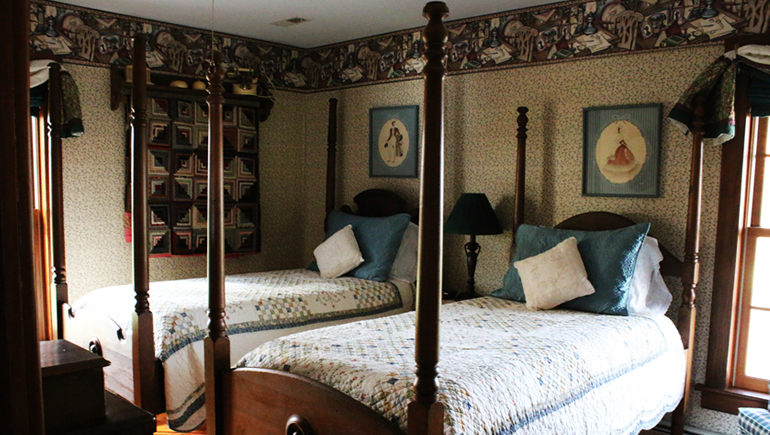 Bathrobes and pool towels are available during your stay.